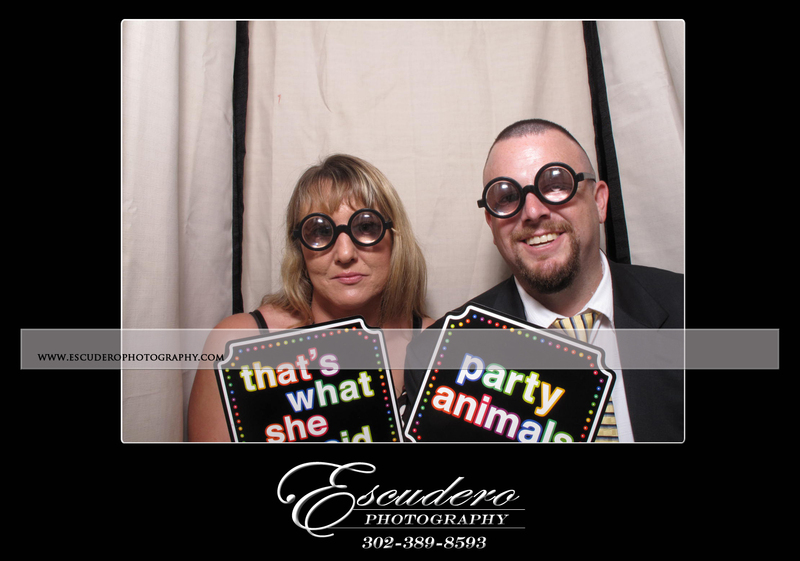 Chrissy and Rob rented a photo booth for their wedding reception at the Hillendale Country Club in Phoenix Maryland on August 4th 2012. 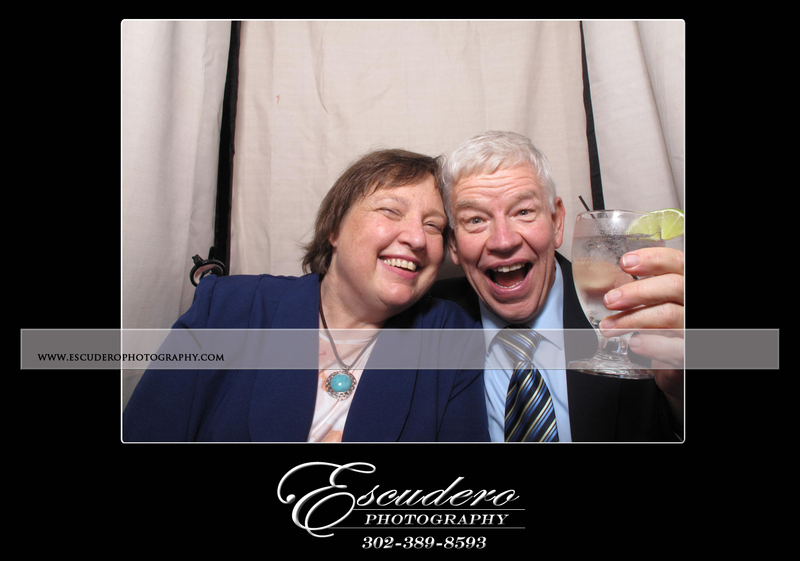 The reception was a lot of fun and the guests loved the photo booth and took full advantage of the unlimited nature of the booth. The photo booth strips that printed out were, as usual, customized to the taste of the bride and groom. 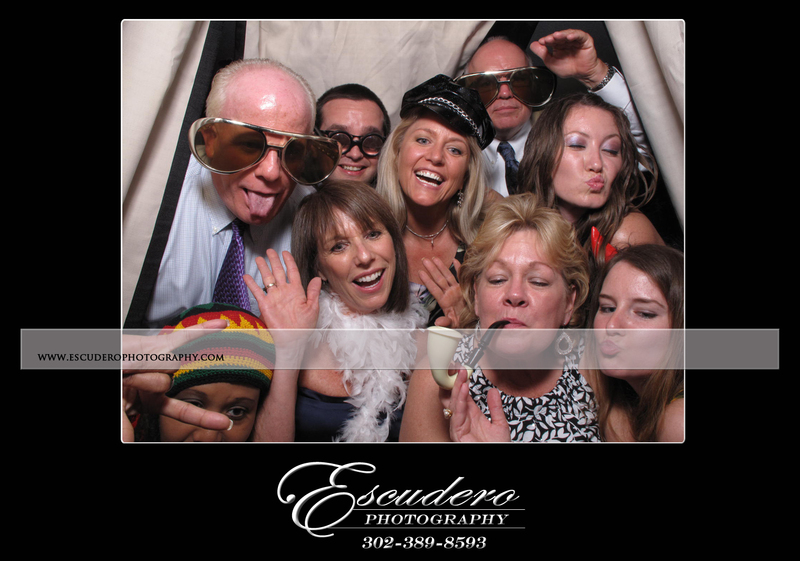 The theme of any wedding or event is easily incorporated into the print outs from our photo booths. The location was about 2 hours away from the Escudero Photography studio in Clayton Delaware. This is not a problem at all as our new coverage area for the photo booths has expanded to serve a larger area surrounding Delaware. This is helpful for those interested in our photo booth rental that may not live closer by but would like to use us as a wedding vendor. 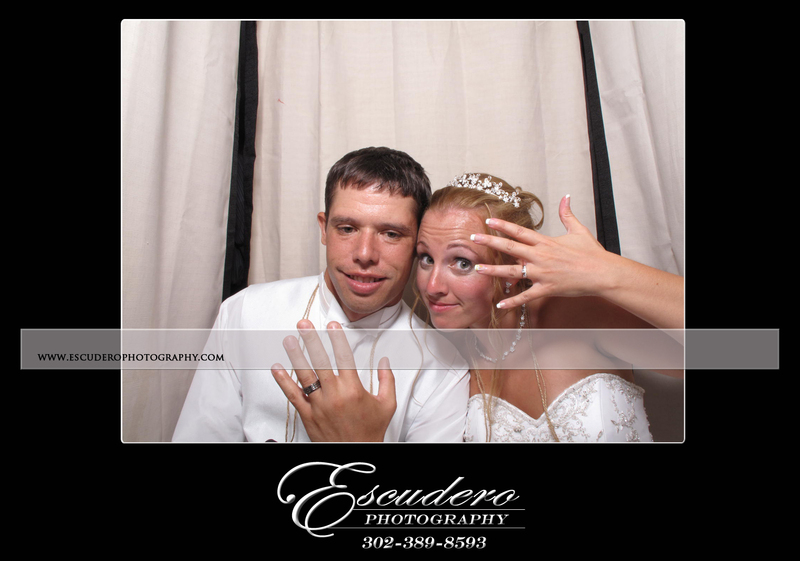 Whether your event is across the street or across the state lines, Escudero Photography is happy to work with you to make your special day even more memorable. This entry was posted in Photo Booth and tagged hillendale country club, maryland country clubs, photo booth maryland, photography. Bookmark the permalink.